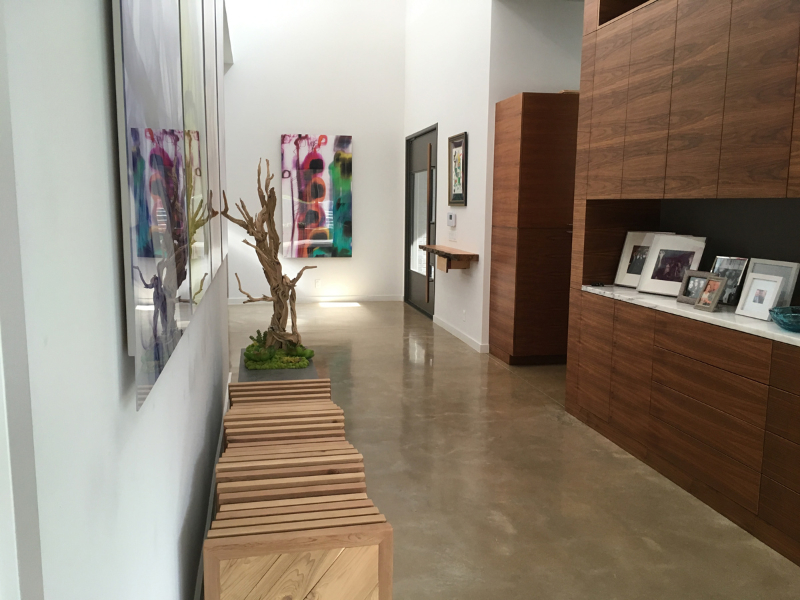 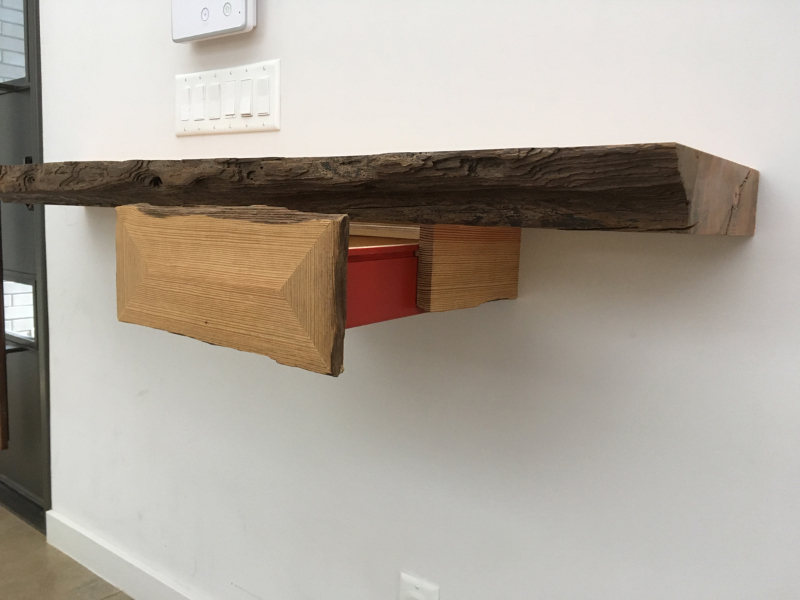 This amazing modern home in Dallas features an entryway with a custom bench, botanical and floating console/shelf made from River Reclaimed Pine. 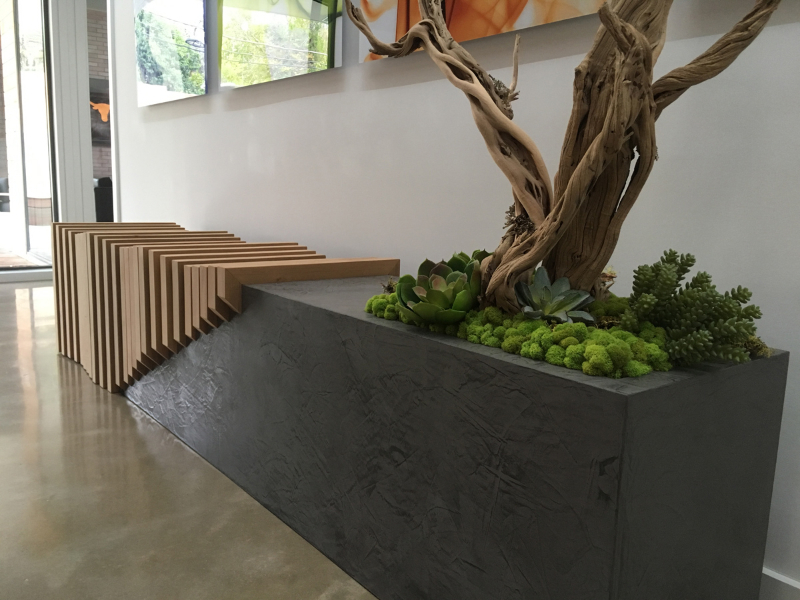 The family and dining room spaces has a custom media composition made of wood, steel and lacquer. 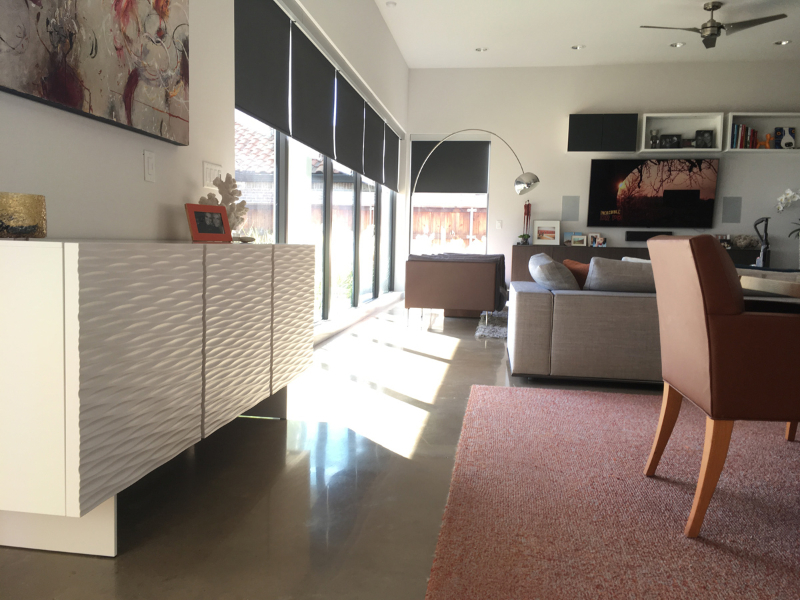 Added a Calligaris sideboard in white blends into the walls while adding some great subtle detail in the textured cabinet doors. 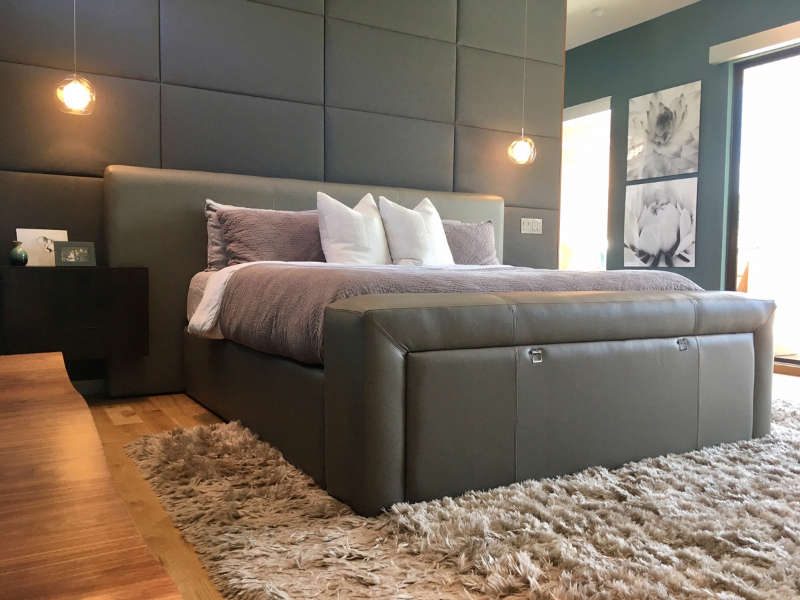 The master bedroom is adorned with a custom modern leather king bed with integrated custom nightstands made from medium stained walnut with grey tinted glass tops. 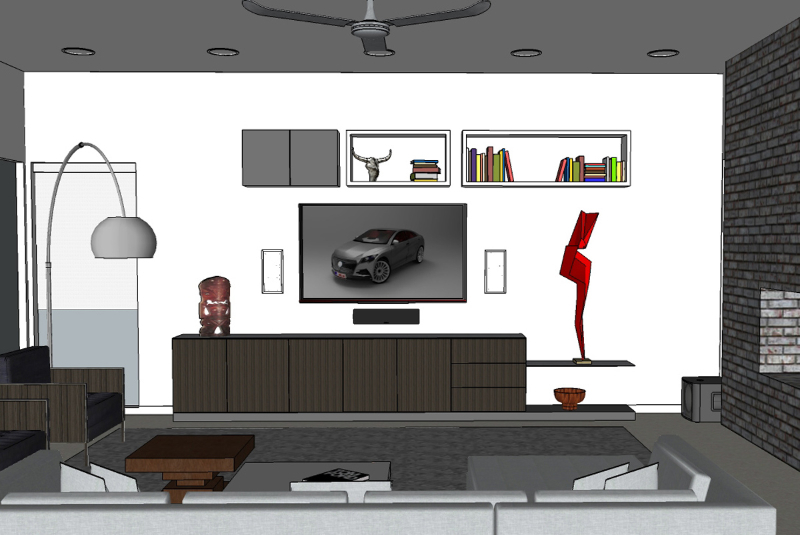 A natural oak sideboard with matte white lacquer doors provides additional storeage. 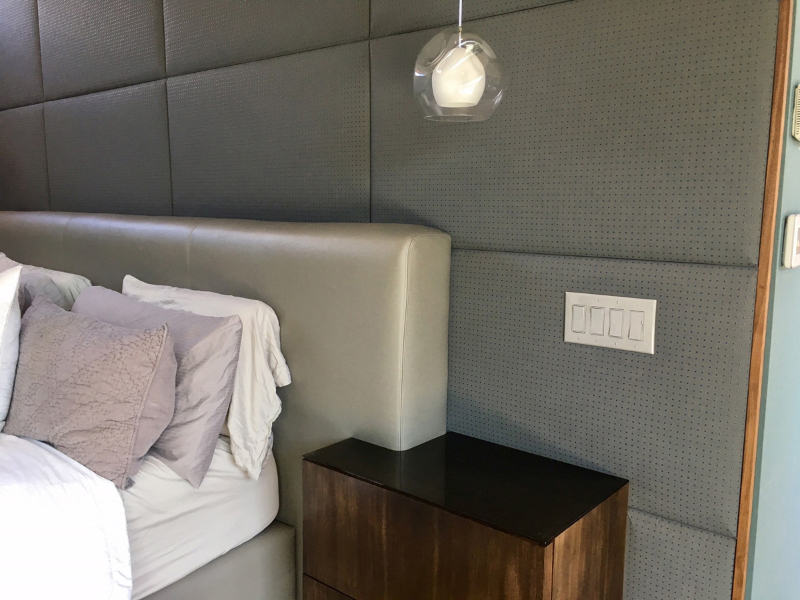 The upholstered panel accent wall adds some great texture as a backdrop to this custom bed and nightstands. 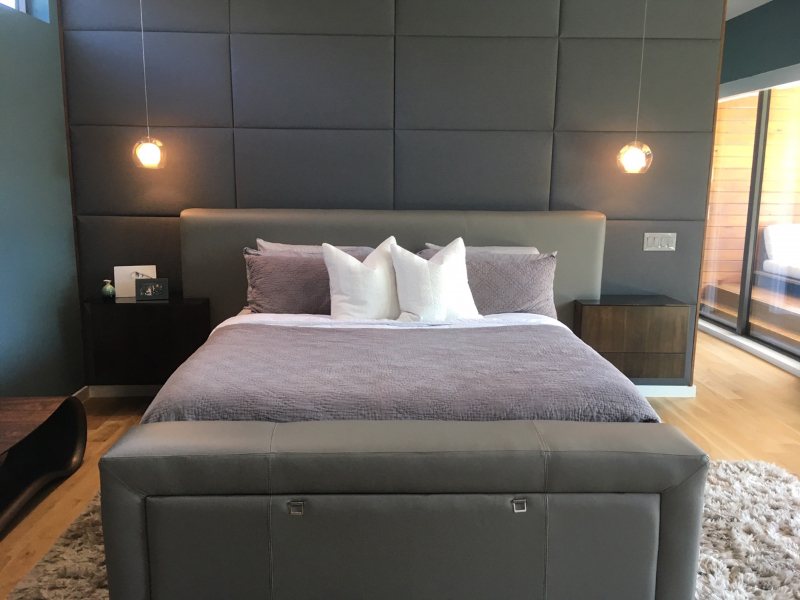 Organic glass pendant lights are discretely switched in the nightstands while the footboard boasts a storage compartment for extra bedding, pillows etc. 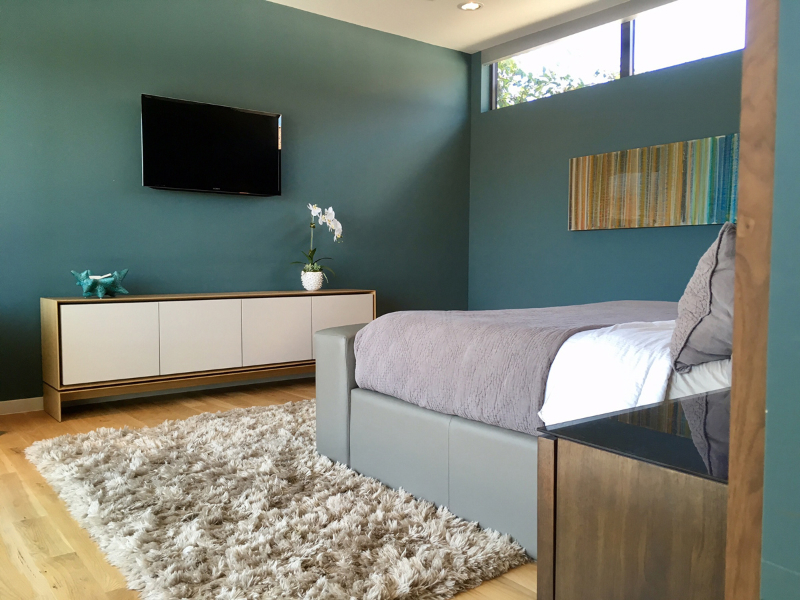 See the detail picture of custom nightstands, paneled wall and lighting. 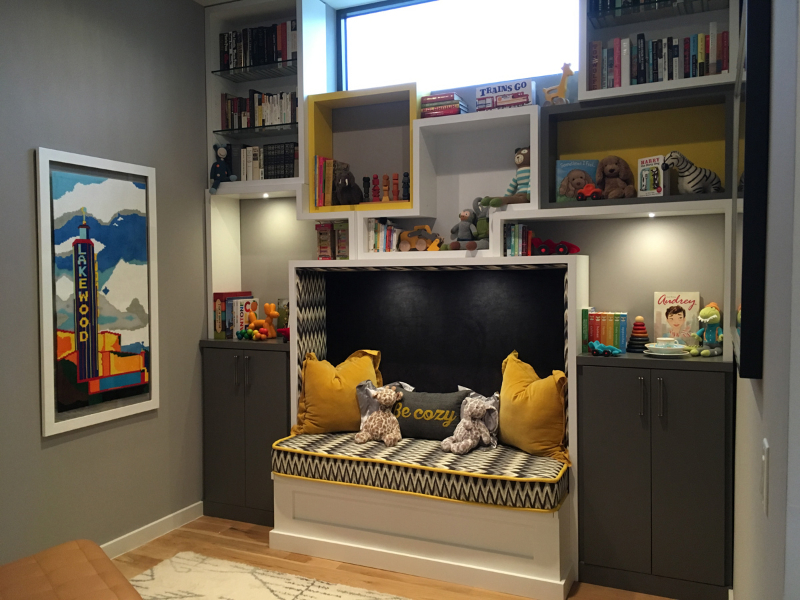 The kids rooms were such a fun project! 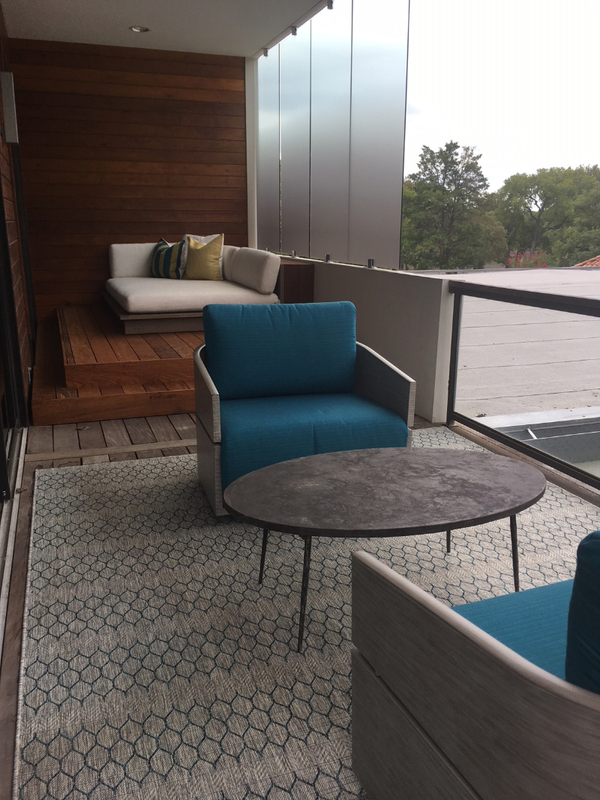 Creating a unique reading space from an otherwise unused space. 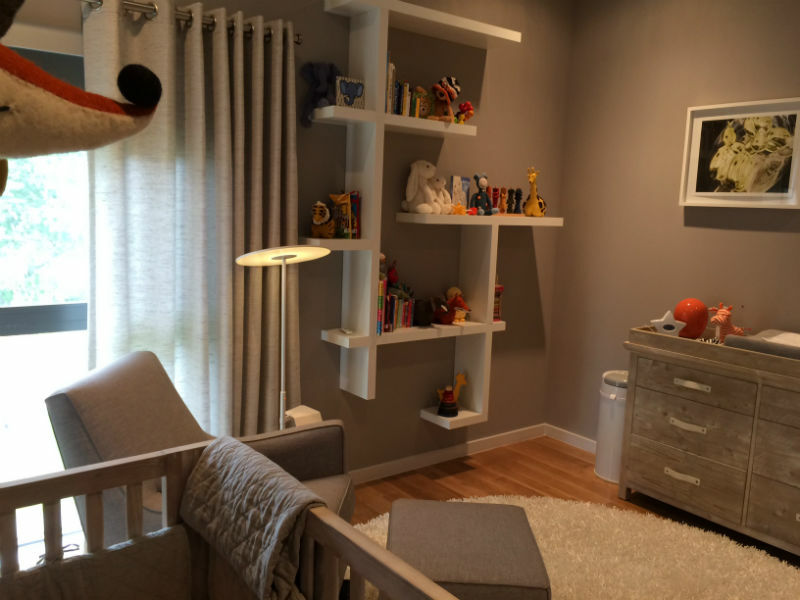 A custom abstract shelving unit accents an amazing nursery space for one lucky boy! 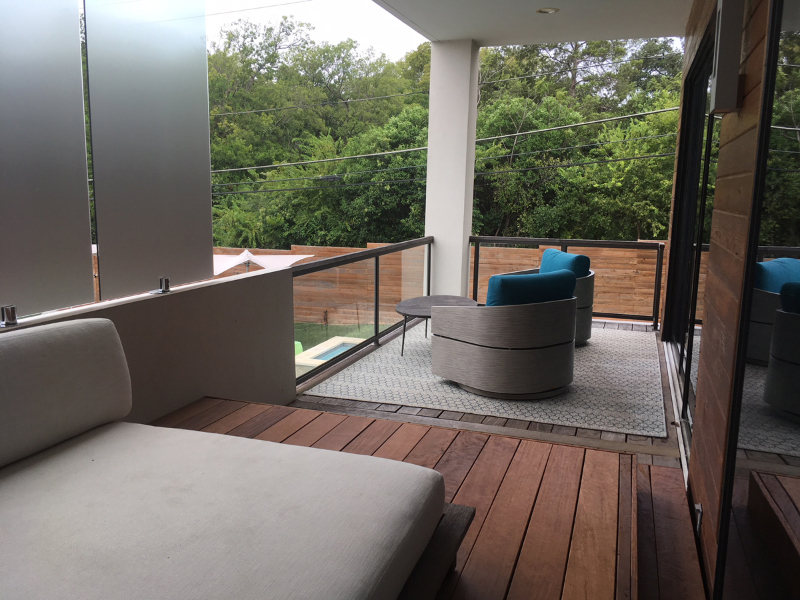 In the outdoor space amazingly slick hardware was utilized to add a privacy element with 4 - 360 degree rotating glass panels. 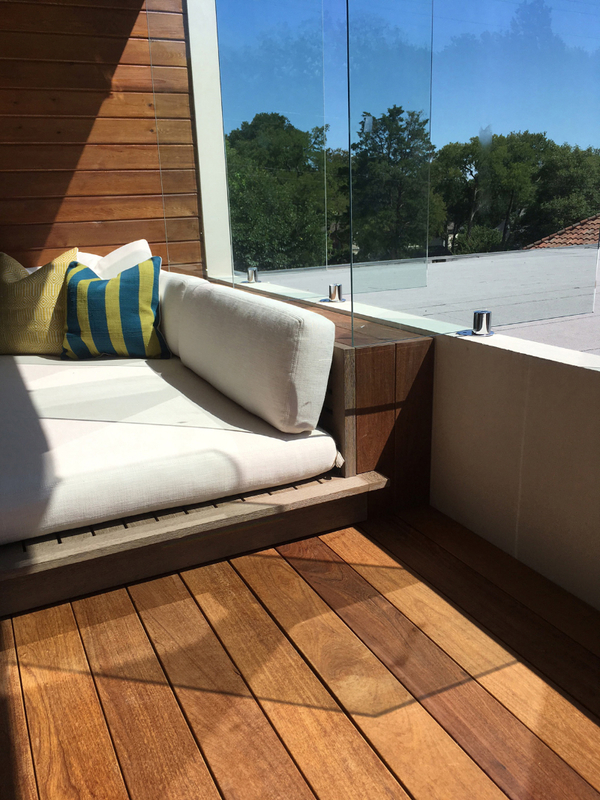 A custom Ipe wood deck platform addition provides a raised view for the daybed. 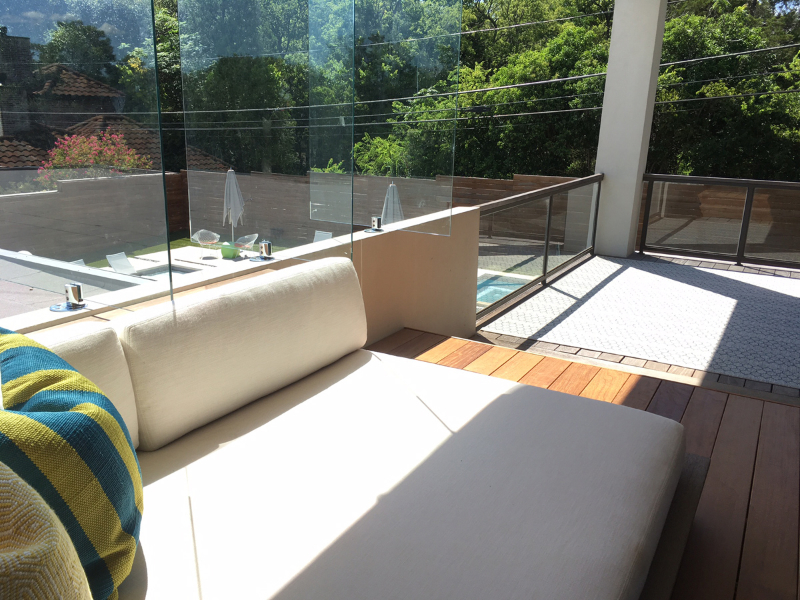 See the detail picture of the glass hardware and custom Ipe wood platform/extension. 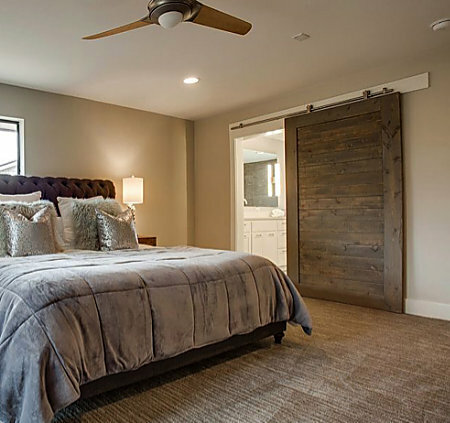 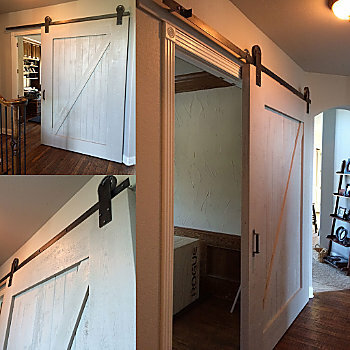 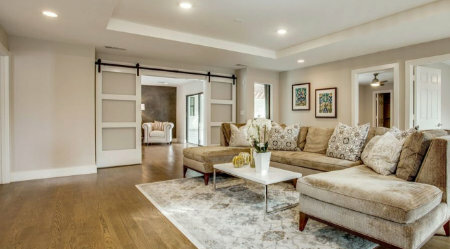 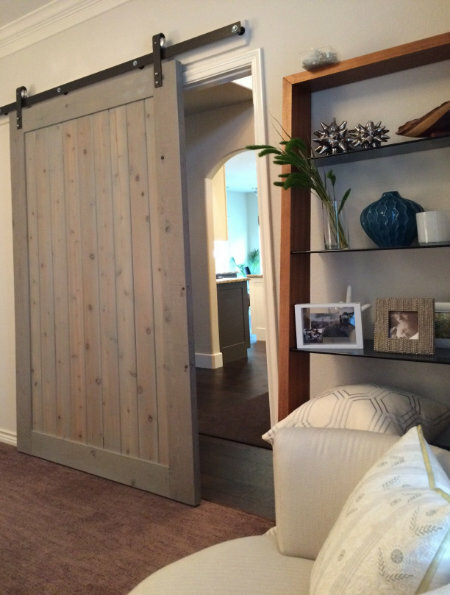 Whether replacing a set of dated French doors or just want to add a functional piece of artwork to any space, sliding barn doors are an easy addition to virtually any room. 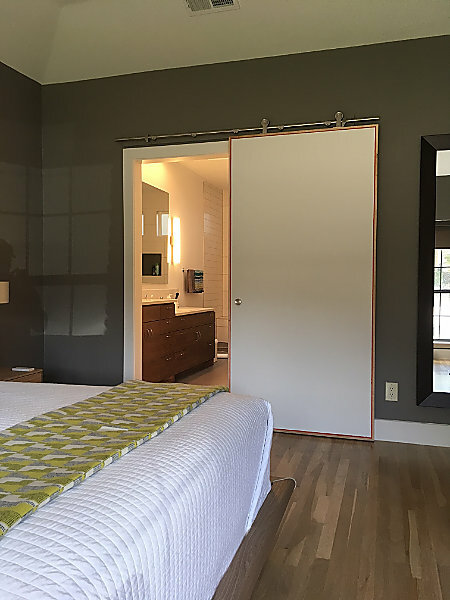 Retro-fitting a pocket door is not only difficult but messy, costly and sometimes not even possible. 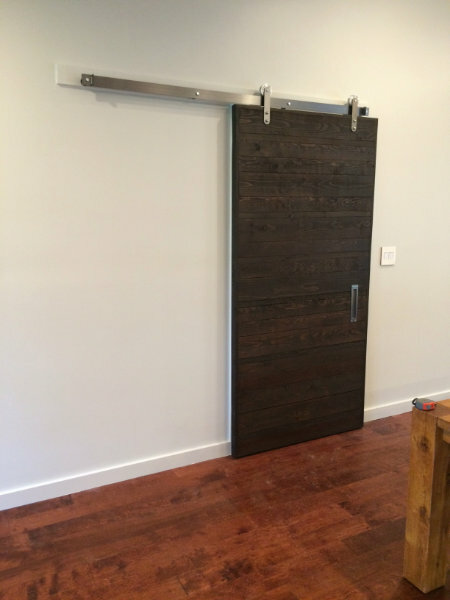 Modern, transitional, wood, metal...Door designs and styles are endless and can take as much creativity as you can throw at them! 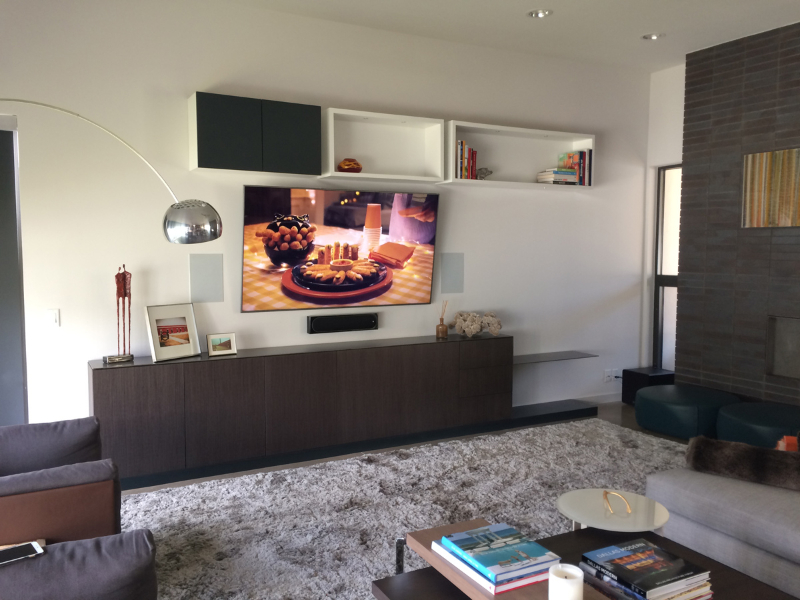 Hardware options are just as vast and getting more and more customizeable. 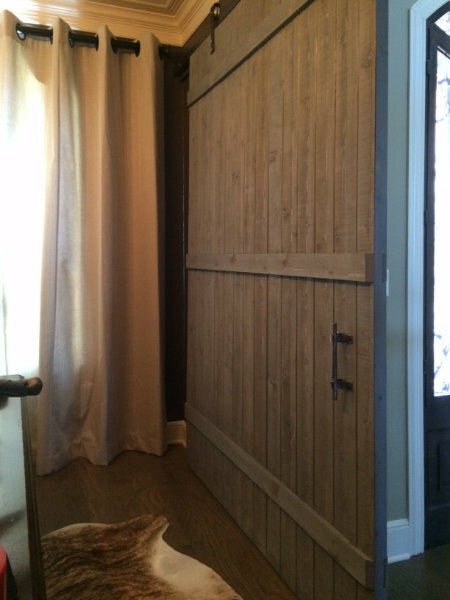 Not much about them these days reflects the “barn” descriptor as they can be as subtle or dramatic as you like. 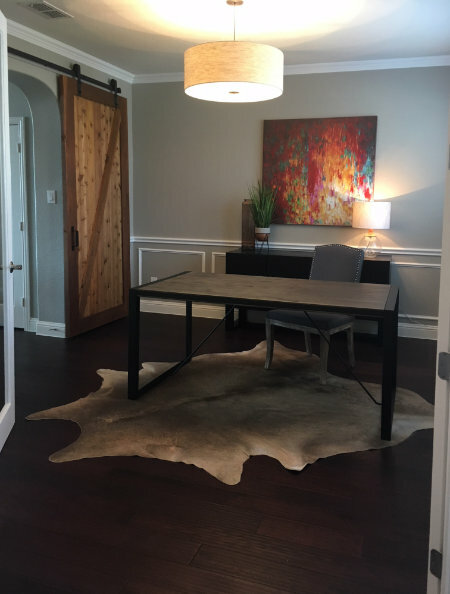 Add a pop of color, match your floor finish, match other door styles throughout the home, or go big and bold with a unique design. 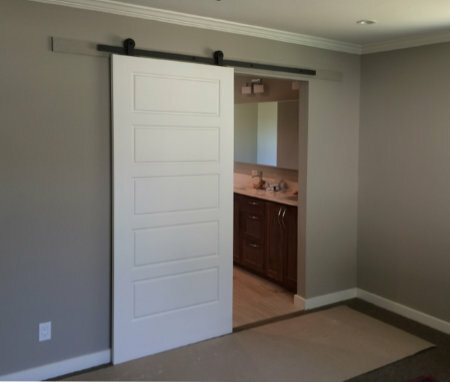 They can be used to replace existing doors OR just to have the option to close off a space as needed. 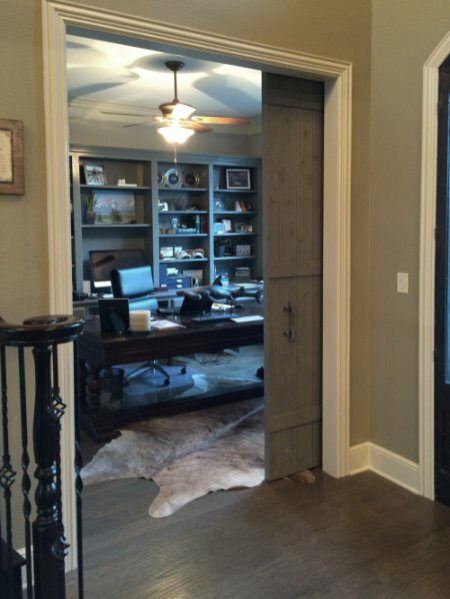 Add glass to them for spaces that you would like to be more private but not necessarily block out light such as a home office. 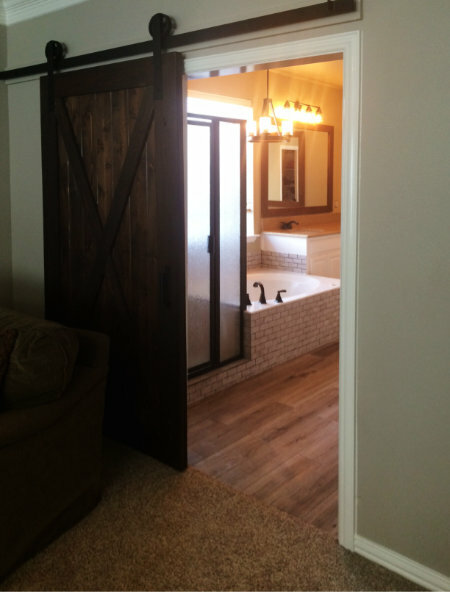 Bathrooms and studies are generally very inviting to this type of door treatment but get creative, chances are you can think of more than one spot to utilize this sliding trend! 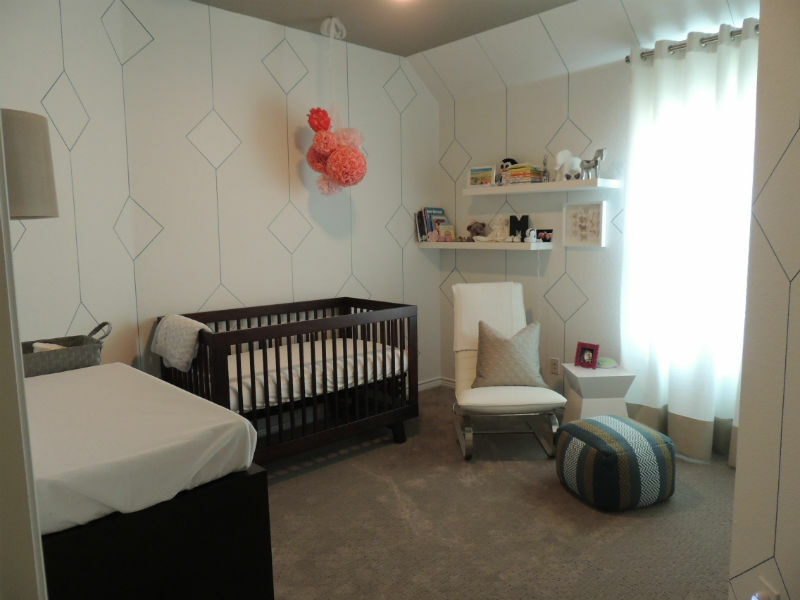 Nurseries are always incredibly fun spaces to design and decorate. 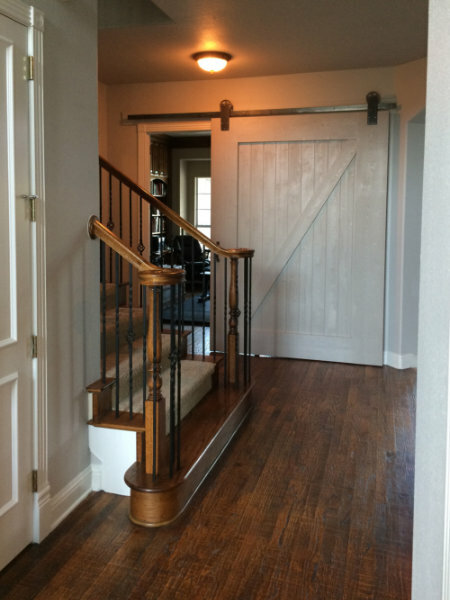 They provide endless options to get creative with both functionally and aesthetically. 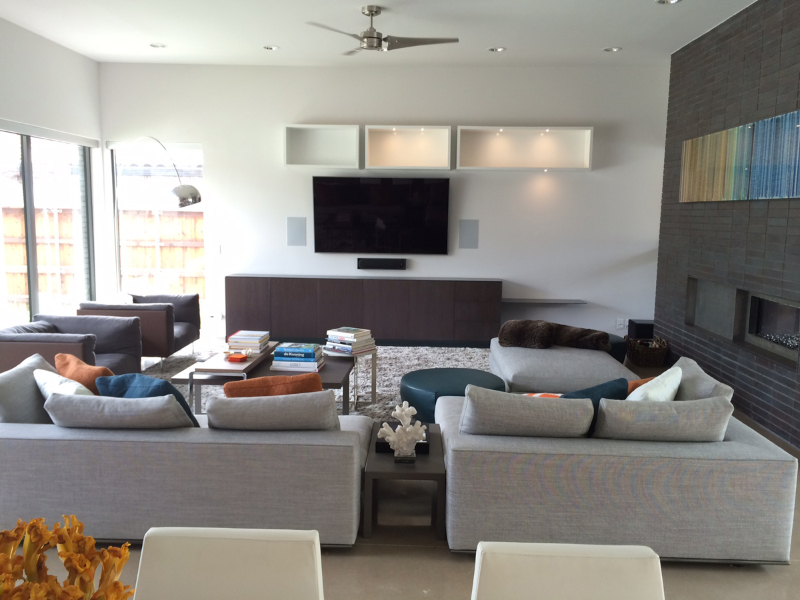 Whether it be whimsical elements, pops of color, dramatic lighting, artwork, window treatments, furniture etc. 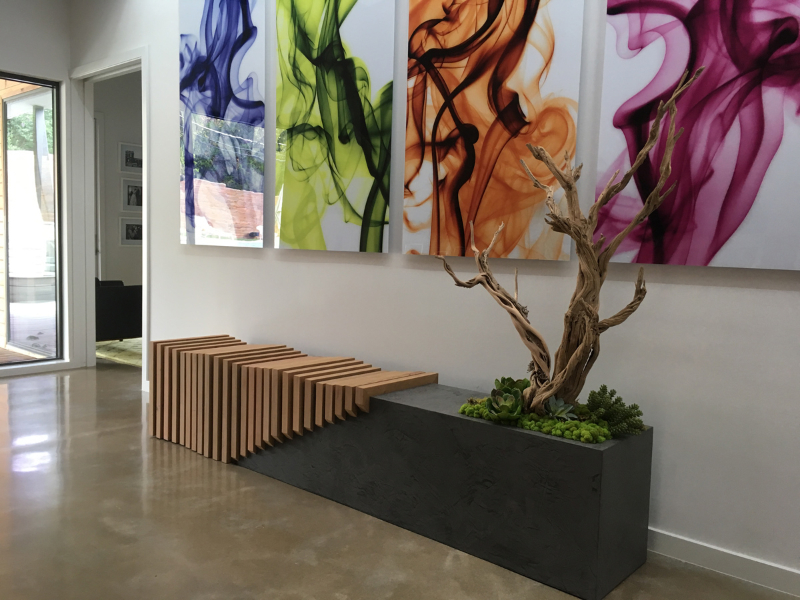 let the creative juices flow! 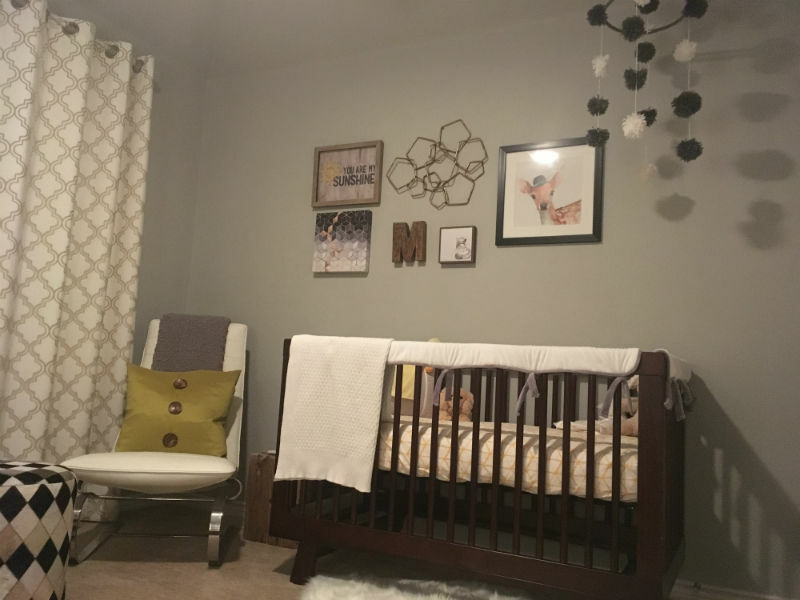 Long gone are the days of gender specific colors and in your face themed rooms. 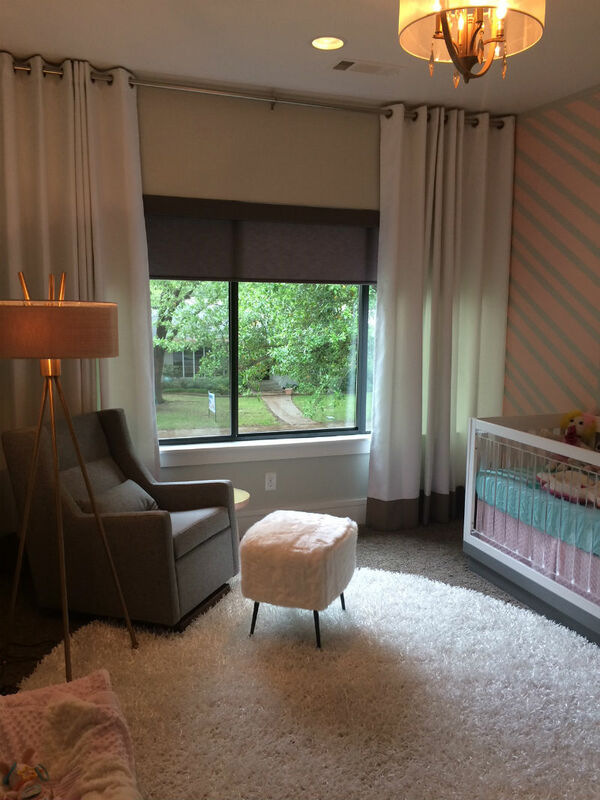 Babies need a lot of visual interest, patterns and textures to help in the development of their growing minds. 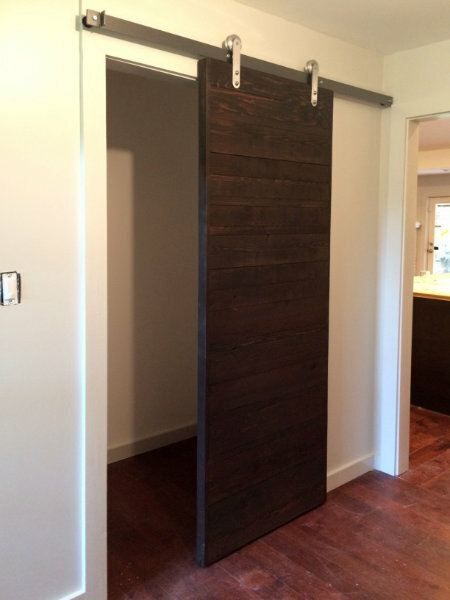 Fortunately this can be done all while making the space equally pleasing for the whole family. 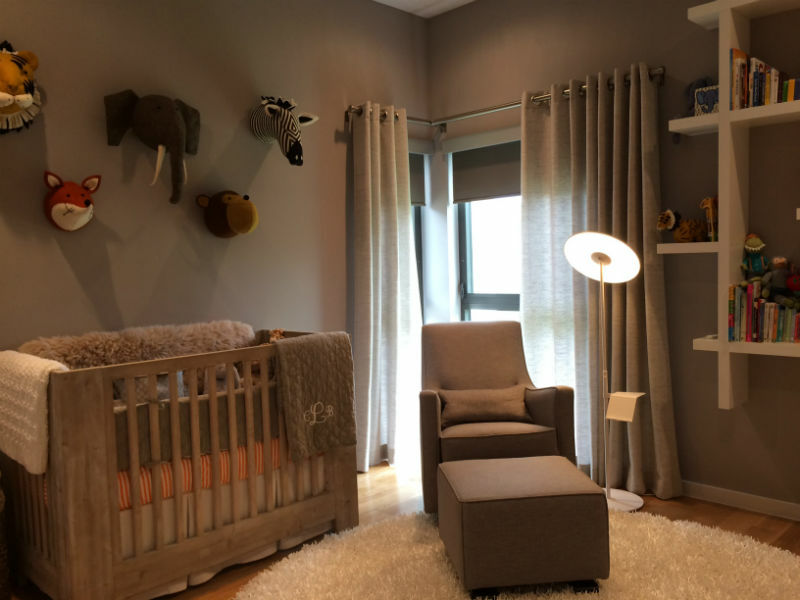 A great chair and crib are staples of any nursery and a great foundation to build on, but from there options are endless and the more creative and fun we can be the better for our little ones.